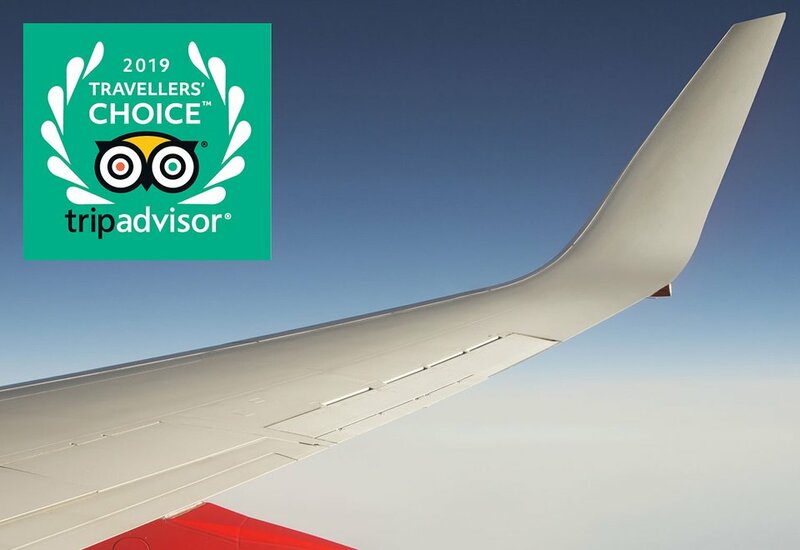 If you or someone you love is facing a long flight in your near future, we hope it's for pleasure! Even so, long flights are big drags and the many hours between takeoff and touchdown seem like days. 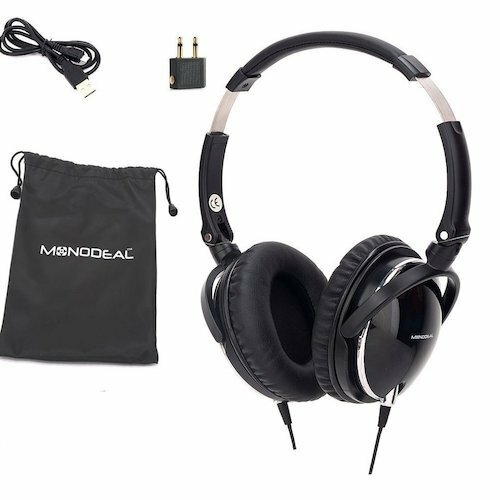 Luckily there are several gadgets that help increase your comfort and entertainment during long flights. Here are some of our favorites. Window seat lovers, this is for you! Slide this lightweight shelf onto the window's shade track and gain access to a shelf to set your smartphone, drink, or anything else you need close. This frees your seat back tray table for your laptop, tablet, or book. Leave your tray table in the upright stored position but still have a place for your drink or tablet with this handy gadget. It mounts over the tray table and gives you a hands-free option to watch movies, read, or rummage around in your carry-on and not spill your drink. Best of all, you enjoy more legroom by keeping the tray up. Do your feet swell or get cramped from being stuffed under the seat during long flights? Then this easy-to-use gadget is sure to make your next flight less torturous. 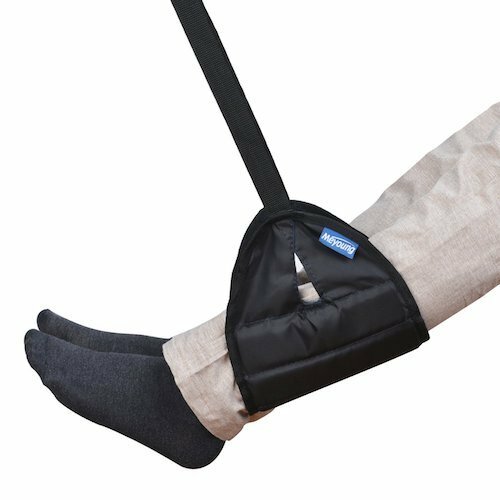 Hang it around your tray able, place your feet into the hammock, and adjust the straps to a comfortable length. Then sit back and enjoy the ride. Pass a little time participating in some mixology. 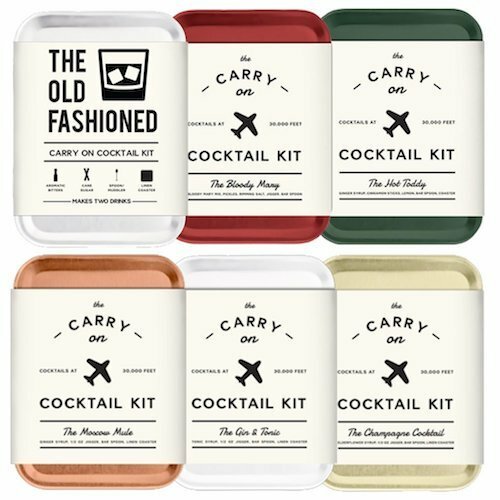 This kit contains mixers, a mini mixing spoon, and recipes to stir up some tasty libations. Don't worry about trying to sneak it on, because the kit is complaint with all airline regulations. Worried about getting some shut eye? 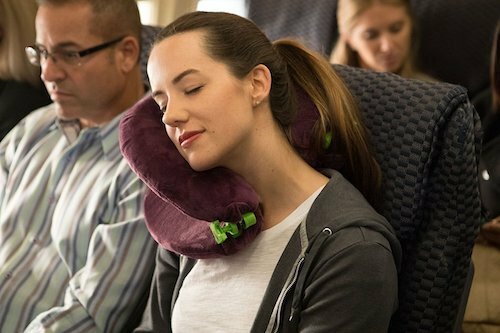 Then you need to invest in this new take on a neck pillow. It offers five modes so, no matter how you like to sleep, you will drift off to dreamland easier and be rested once you get to your destination. Not new on the air travel scene, but completely priceless. Not only do they deter chatty seatmates from talking your ear off, they block the mind-numbing chewing, coughing, snoring, talking, and laughing of other passengers. Shave off most of your stress during your flight by popping these over your ears before you takeoff. It's bad planning to reach your destination with a dead smartphone or out-of juice tablet. 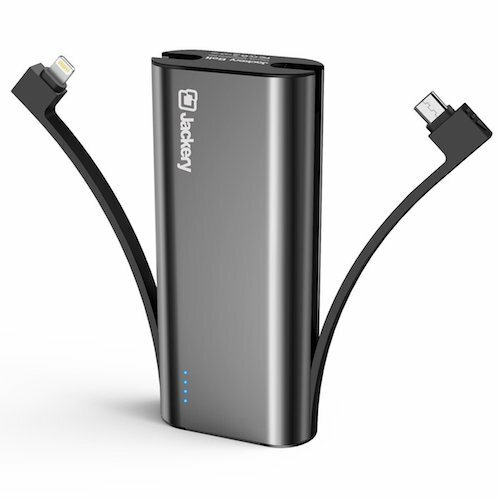 This charger is compact but powerful, and allows you to charge two devices at the same time. While some airplanes are equipped with USB ports now, don't depend on it. Pack this to be safe. The best for last! A tablet functions as a book, movie screen, television set, jukebox, or board game. You can literally lose yourself for hours. Stock it with two or three books from authors you like, and a couple of movies you have been wanting to see. Which games? Try sudoku, solitaire, escape games, a fun logic game, and a jigsaw puzzle to make sure you aren't staring at your watch wishing your flight was over. While long flights will never be a laugh a minute, these 8 handy gadgets definitely helps maintain your comfort and bust boredom so it's as pleasant as possible. Bon voyage!